Goldsmiths College, a full School of the University of London, specialises in the study of creative, cultural and social subjects, and has been teaching students for over 200 years. 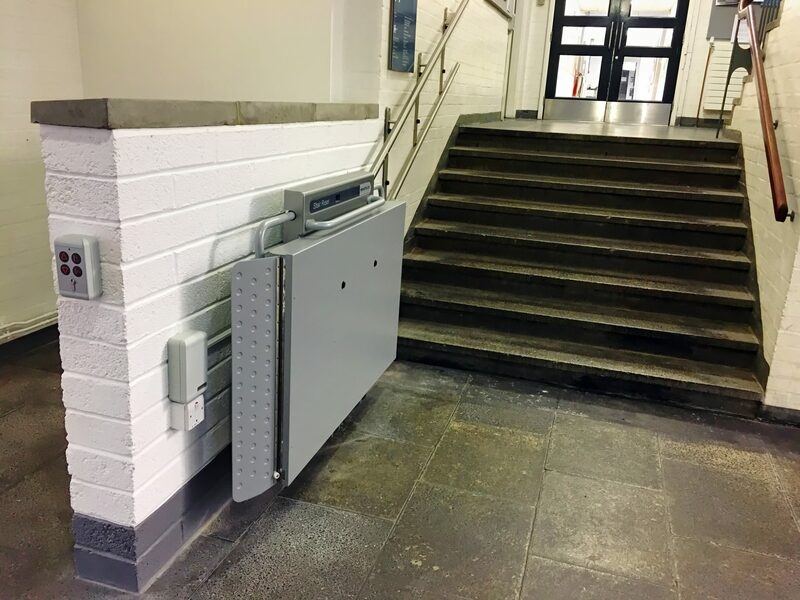 The College recently decided to add disabled access adaptations to the music wing of the building, and contacted the lift experts at Invalifts to get advice for the best solution. 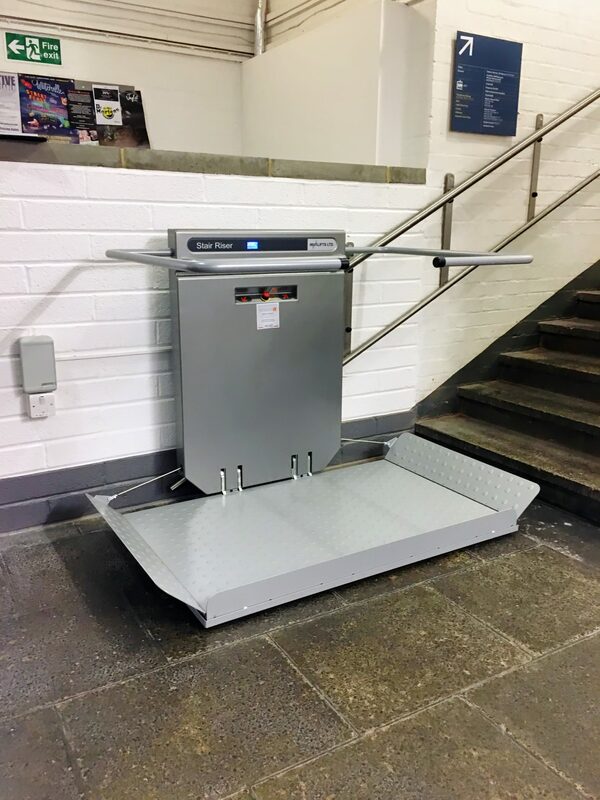 Invalifts visited the site for a survey, and noted that with 8 stairs and a total travel height of just over one metre, their Inva Stair Riser platform lift was the perfect solution to enable access. The lift was specified with a fully Part M compliant 1250mm x 800mm fold down platform, which would be suitable for wheelchairs. The unit had a lifting capacity of 300Kg in order to accommodate large, powered wheelchairs. The College required the lift to be wall mounted, so the existing stair wall was utilised and a small wall was formed at the bottom landing for parking of the unit and to mount the wireless landing call buttons. Installation of the lift was completed in just one day, minimising disruption to the occupants of the building. To find out more about the Inva Stair Riser platform lift or other lift products, you can give Invalifts a call on 0845 468 2543 and speak to one of their friendly experts.